I thought I would first show the definition of Historical Fiction to pinpoint what we are looking at exactly. Historical, adj. 1. Of, relating to, or of the character of history. 2. Based on or concerned with events in history. Fiction, n. 4.a. A literary work whose content is produced by the imagination and is not necessarily based on fact. b. The category of literature comprising works of this kind, including novels, short stories, and plays. Writing historical fiction is simply writing a story that is set in the past which is usually during a significant time period. 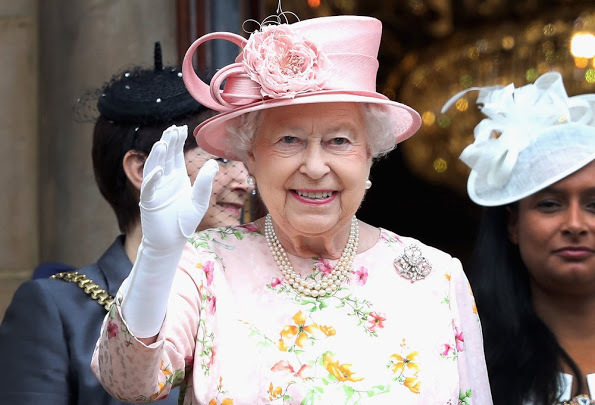 For example, the Victorian Period is the period during Queen Victoria’s reign. I find this period particularly interesting and a favourite. The main thing that I will learn in this course is to do research to come up with the correct setting based on facts. It can also include real people but does not necessarily have to. When You are writing fiction, it is very important to do your homework so that you can really pinpoint the mannerisms, costumes, conditions, etc, in order to make the novel authentic. In fact, they also say that historical fiction novels can take years to write because of the amount of research you have to do when writing. (for example, you can place your fictional character “Alexandra” in Napoleon’s invasion of Russia in 1812); or you can have variations of both. For example, you could place historical figures in settings they have been proven to have been in or fictional characters in fictional settings in a real period of history. To recap, historical fiction is writing that is fictional but in which elements from history play the main roles. When you choose to write historical fiction, you are doing two things at once – you are both the historian AND the storyteller. You are going to tell your readers what happened at the time and what it felt like. We are going to explore the genre. We will discuss the various subgenres, the types of characters and settings you may want to explore, character motivations, conflict, plot, plot mapping, editing, and pacing, plus agents, queries, and so much more. You will walk away at the end of this course feeling as though you know exactly what you want to write and exactly how to write it. I have submitted my Introduction online and written what book I want to write and then did a multiple choice exam at the end. You may have to be a member of the City of Joondalup library to access the course. It is under Online Resources in the Spydus catalogue. There iare500+ courses to choose from and 6000000 Lessons delivered! Oh! How I want to do Journalism! I will possibly do a Book Review of The Governess Game in the near future! As that is the featured photo on my post! Today I went to the Girrawheen Library which is a part of the City of Wanneroo here in Western Australia. I picked up FOUR books which I will be listing in this particular blog. You will find the first book really shows that it is the type of novel I would DEFINITELY read. Just look at the FIRST WORD! But it is BOOK FIVE of the “The Selection Series”. When Eadlyn became the first princess of Illea to hold her own selection, she didn’t think she would fall in love with any of her thirty five suitors but as events at the palace force her even further into the spotlight she realised that she might not be content remaining alone. She still isn’t sure she will find the fairy – tale ending her parents did twenty years ago but sometimes the HEART has a way of surprising you……. and filled with JUST the right amount of SWOON! The first three full novels in Catherine Gayle’s Lord Sotheby’s Influence series, available NOW in a single box set bundle on Amazon. ONLY 83 cents right now on Kindle, and I bought it for a dollar something….. In Know Who You Are. Live Like It Matters, he shares the wisdom he’s learned—not from what the world says, but from what God says in His Word. There are 36 sessions that Tim shares with you to share his deep-rooted faith with those that need just a little encouragement, and want the need of a purpose-filled life. but we are going to cover only the following which is Part 1 of the book, on asking a simple question. “You and I have something in common. We may share similar traits I don’t know about, but here’s what I do know: I was homeschooled, just like you! I can’t tell you how much I appreciate my parents for making a personal investment in my education. One of the things I loved about being homeschooled was being able to focus on the things I was passionate about and how much time it left for things I loved, like sports and exercise. Here’s something you may not know: my mom and dad decided to homeschool my two brothers, my two sisters, and me before people even knew what homeschooling meant. At the time, some people thought they were nuts. Some wondered if homeschooling was evenlegal! But despite the challenges they faced, it was worth it. Mom and Dad’s careful and thoughtful instruction helped educate my siblings and me. Each one of us was even blessed to receive a college scholarship! I know being homeschooled may not be the easiest thing in the world, so I wanted to write a book just for you. I’d like to encourage you in your studies by offering some lessons I’ve learned in my personal journey, lessons I want you to be a part of. 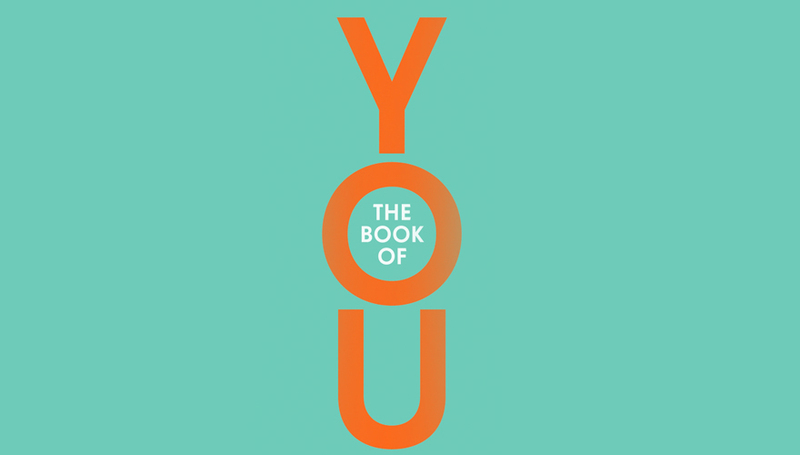 I want this book to be about you: digging deep to find out who you are and what that means in real life. You may or may not know this already, but writing is powerful. In fact, an esteemed professor of psychology at the University of Texas at Austin studied the impact of journaling. Through a handfulof studies, this expert found that expressive writing in a personal and meaningful way positively impacts health, well-being, and self-development. It can put us in a better mood. It can help us process tough situations. It can challenge us to make good changes. It can pave the way for a more impactful future. Knowing how journaling can be a great tool for self-reflection, I decided to write Know Who You Are. Live Like It Matters. just for homeschool students. You may think you don’t like writing or that it doesn’t come easy for you. That’s okay! As we travel together through the course of this book, writing will become easier. And you may even discover it’s one of your passions! Recently I have been talking and collaborating with my very good friend, (a novelist and history enthusiast), an intelligent, studious and amicable lady who strives for greatness in her writing, Gabrielle Emmons. We have been talking a lot about writing in general and I came up with the idea of her doing a guest post on how she begins to write a novel. This is fantastic for those who are budding authors, ready for a new breathe of fresh air or something to their writing life. I am proud to introduce her to my blog and with the upmost sincere thanks and gratefulness to have her feature on here. You will find the full article here on her blog, Gabrielle M Emmons and you will also find that she works and keeps up with her own numerous blogs showcasing her work and authorship. My absolute favourite blog of hers is Tea, Books and Britain because well, you know me! I have become the bit of an Anglophile! And the title is just Oh so perfect! And sums up my life basically. A cup of tea while watching “Escape to the country” or “60 Minute Makeover” has truly been the highlight of my afternoons. Before I post her article I totally recommend for you to check out her excellent Book Review on “The Mark of the King”. This description on the back cover definitely makes me want to delve into it. So, even if you haven’t clicked on that review, bookmark it or save it on your internet and make sure you get that little glimpse of a story of great and hopeful history. It truly has made me want to read it very soon! In her Writing 101 – a new series blog post she states how we specifically have been discussing the idea on HOW to BEGIN writing a novel. It has truly been amazing talking with her about ideas and brainstorming and starting that novel in particular. Now, let’s get started with her article which was published on September 12th 2017 on her History with Flair website. Grab yourself a drink (tea or water) and a notebook & pen or laptop. There is an activity at the end! Many people have asked me how do I start the process for writing a novel. They have also asked me how do I find inspiration/ideas. So I thought I would do a blog series featuring writing. This is the first in the series and you can find more about it here. So pull up a chair, grab your favorite beverage (mine is tea), and let’s get started. (Just a heads up there will be an assignment at the end of this post. But it shouldn’t be too bad). First off, there is no one way to start the process of writing a novel. Each author has their own way of how to start that is unique to them. The key is to find one that works for you. For example, some have a vague idea right away. Others have pictured a character or characters. Again, others have a couple of scenes already figured out. It is all up to you. For me, it varies. For my WWII novel set in England (which I have put on hold for now), I already had a vague understanding the plot. For my Autumn themed story that is currently in the very early stages, I knew I wanted to have setting of the novel be during the Autumn months in MA because I love the Fall. I also knew who my main characters were. I want you to grab your favorite notebook and writing utensil. You can use your laptop if you prefer to type. I usually for this stage write it in a notebook and then transfer it to the computer later on. Now, I want you to write down five ideas that could be potential stories. Don’t feel bad if you can only come up with one and two. It is a start. The most important thing to remember is to have fun. Writing a novel should be fun. How did you go with the activity? Idea 5. Professor Wickman travels to London to start a new job at the City University of London. 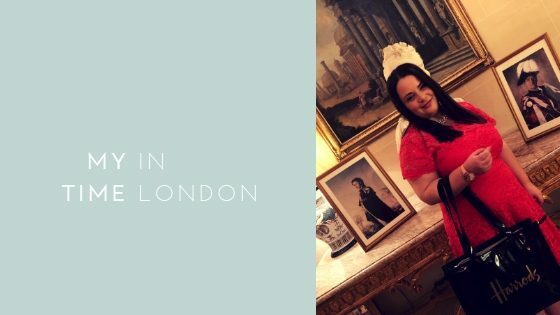 Committing his time and energy to his work and study is his priority and is all work, but through a period of time he learns to apply his work to excellence and focus on a project with his enchanting partner Lady Grosvenor from the affluent suburb of Mayfair. They eventually fall in love whilst working together and get married at St George Hanover Square. It is not a complete idea but that is an example of ideas. First off starting with the main character, then a setting, place or particular location, the body and then the minor character fixed in there somewhere. I skipped a whole part of what “could be” (a long plot) There could be so much more I could add to it and I am excited at the thought of creating a story again! but I liked the idea of this so much I am thinking I am giving away a good story already! Well, that can be my next project! This title is the first Chapter of “The Way to St. Werburgh’s”, and oh! Is it just the perfect title. “The Northern spring was fast approaching, to gladden the hearts of all Englishmen Grand old oaks and spreading yew trees, majestic chestnuts and elegant birches vied with shy wood violets and bursting daffodils to greet the new season. One of the worlds greatest picture collections is found in this book, “The Royal Collection Treasures” involving masterpieces, splendours of the decorative arts, for example, I will touch on different sections such as furniture, or sculptures. It is not just only a collection, but a collection on collections which contain works of art. I love the categories that I am going to share with you. It involves drawings, paintings, books, gems, tapestries, silver, porcelain, etc. Surprisingly, the book says it is wholly unlike a museum collection which I thought that I would! But the British National Collections selectively provide a wide-ranging depiction of the arts and sciences with a specific purpose of showing the public what there is in an educating way. The following article I did is featured on Taylor Magazine, an online London magazine that is a minimalistic guide to life, which is “Taylored for you”. From articles that speak about the matters of the heart, celebrity interviews, Life, conversations, culture, and they also include favourite books! Which is the category that I chose! According to their About page, Taylor was born out of the need to have something that combines EVERYTHING that consumes our world. Something that is taylored specifically for you. Here is the link to “Enjoy” by Trillia Newbell – Review on Taylor Magazine, and I have put the article up so you can read it on my blog. I also did an article on “Feminism” on Taylor Magazines website, which you can find HERE. It is probably one of my best work, ever! I am currently reading a book called “Enjoy – Finding the freedom to delight in God’s good gifts” by Trillia Newbell. I received this book from ‘Blogging for books’. I have done two book reviews so far, “How to own it” by Sallie Krawcheck, and “The Women of Easter” by Liz Curtis Higgs. I thoroughly enjoyed writing these, and have been looking forward to doing a different book. “Enjoy” is a faith-filled illustrative, scriptural based book on experiencing the fullness of life, and truly learning how to enjoy life in general. They cover the basis with scripture such as 1 Thessalonians that says to “rejoice always”. They also reveal that joy is a fruit of the spirit – something that is developed and nurtured within us. I was a little unsure of doing a review on a Christian book, because some people aren’t religious, and it caters to people who believe in the Holy Bible. I was brought up in a Christian home, so I find this kind of reading therapeutic for me personally. I like how they talk about gifts, gifts He intends for our enjoyment. We have been given gifts in life. For example, I am truly learning the gift of writing. 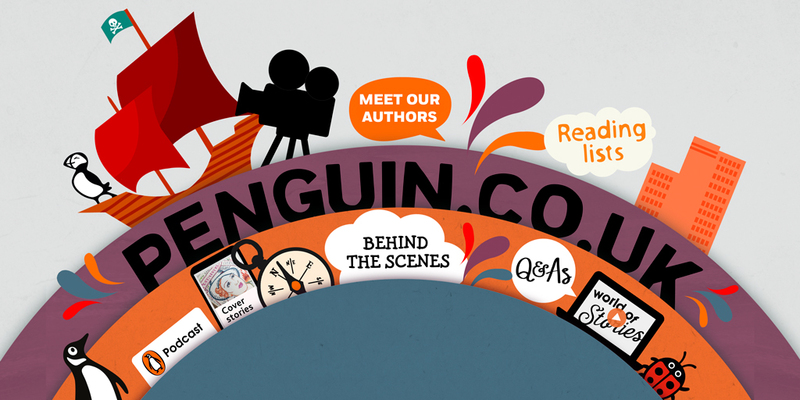 Growing up, I did love my books, and relished in an Enid Blyton story, but I honestly never thought I would create my own website, and write personal stories on my blog. This happened during my late twenties, when living in a small country town called Merredin, so it became a creative outlet for me to break out, and just write. We can experience the fullness of enjoyment as we use our gifts daily. We can and should ‘enjoy, delight and rejoice’! Have you struggled with enjoying things in life, such as gardening, or just sitting down in your lounge and reading a good novel, or listening to classical music? Sometimes we feel confused about the significance and purpose of leisure, but it is really quite simple. Turn on the radio, and dance your heart out, or sing to your hearts content. It is with learning to enjoy, recognize and appreciating things like leisure that you learn to see more clearly, and more passionately. I particularly like how they say in the first chapter that there must be purpose in order for us to make sense of the world, and that we can easily fall into the snare of discontentment. It would make life hard to live if you are not feeling content with yourself. Life was created for us to enjoy, so, do things for yourself that would truly make you feel a sense of joy. Through this book you can gain a deeper understanding of what it means to delight in good things, and to simply, enjoy your life. I also like how they created an “Enjoy Project” as a tool where there is a list of suggestions at the end of each chapter, and you can decide which suggestions you would like to do, such as journalling and you can write down if it was effective or enjoyable. For example, they put ‘start a blog series’, when I started blogging I felt a sense of joy and achievement from typing and it was out of pure joy that I started doing it. If you do something similar to this, or just writing anything down in a journal, you will feel challenged, encouraged and inspired. We are not called to do life on our own, we are created to also work together and have relationships where we can sit down and talk to one another sharing our goals and dreams and aspirations for the future. That is one of the best things you could ever do, is get with people and talk about what you want to do with your life, and then truly embrace your god given talents. Our goal can also be to learn what it truly means to enjoy. Maybe create a random encouragement card to someone that you admire – investing in other people is worthwhile. I love how at the end of every chapter there is a section/list on what you can do to create that joy, for example, scheduling a coffee date with a friend, making a meal for someone, or making certain lists. And each chapter starts out with an inspirational quote, which is pleasant to start off with. I particularly liked Chapter Nine, which is called “The Art of Life” opening up with the sentence, “It’s interesting how something can be so central to your everyday life and then gradually fade away”. I have had this in the area of friendship specifically, and also when playing an instrument. My life was focused on piano playing for about eight years, but over the past few years I have forgotten what its like to sit down, and let my fingers tap away with such joy in my heart, and I miss those days. Sometimes life gets in the way of enjoyment and it is important for us to delight in everything that we do. If certain obstacles prevent us from fulfilling our dreams it is easy to fall into the trap of self-pity, we need to put our hope into pursuing and cultivating a great life for ourselves. This chapter really stood out to me because it’s so easy to get lost along the way that you forget to truly enjoy life. You can delight in a variety of things, and I particularly liked that chapter because it talks about the arts. I delight in painting and music, and theatre, so it really stood out to me. Last, but not least, the last chapter called “Everlasting Enjoyment” focuses on the spiritual side of things, delighting in not only the here and now, but looking forward to the future, and it talks about faith and hope. To be truly complete, you must have hope. I particularly like how they use scripture such as Romans 5:35 how it says that ‘suffering produces endurance, endurance produces character, and character produces hope’, and especially it ends with a C. S. Lewis quote: “For the present is the point at which time touches eternity. So, I hope that even if you don’t read this book, that you have learnt something to truly learn to enjoy your life by doing things that you love. 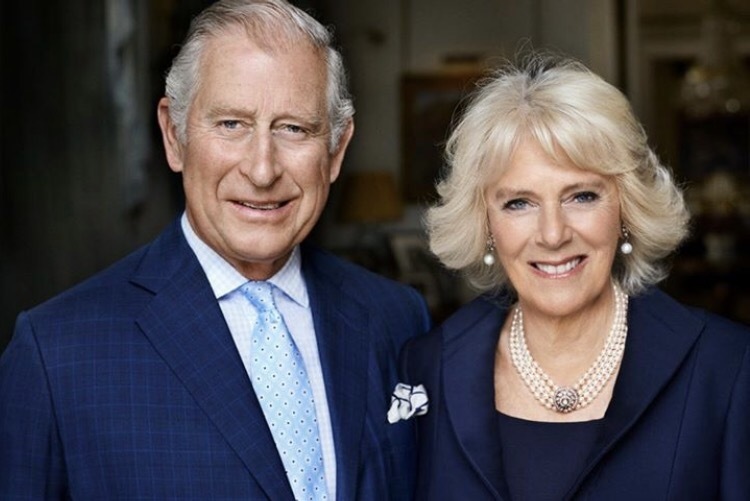 In tribute to Camilla’s 70th birthday I thought I would do a post on her, regardless of anything, I never thought of doing a post on her, but she is still part of the royal family! Please note that I used words from Royal Central which I absolutely loved because it is to do with reading and writing. It is such a good “read”! I would love to have elaborated more, but Royal Centrals post was quite concise and succinct, so I hope you love reading this and of course, with both the word “bookshelf” and “garden party”, I’m in! 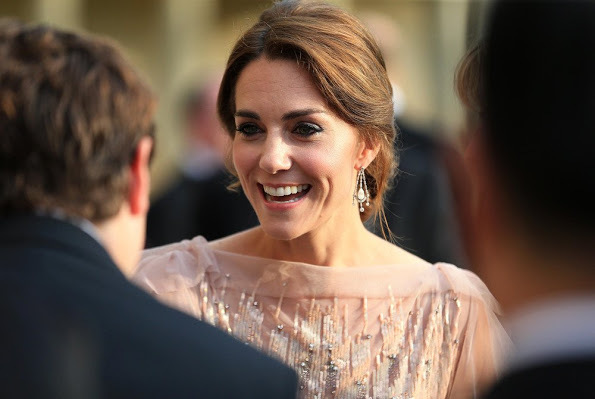 The Duchess has always been supportive of encouraging reading and writing in young children, and last year hosted a writing competition run by the BBC. This year she was been working with a project run by the National Literacy Trust, and in honour of her seventieth birthday later this month. The project has seen seventy books selected as the most popular books chosen by primary school children across the country. These seventy books complete with the Duchess’s bookshelves will be given to seventy selected primary schools across the country. 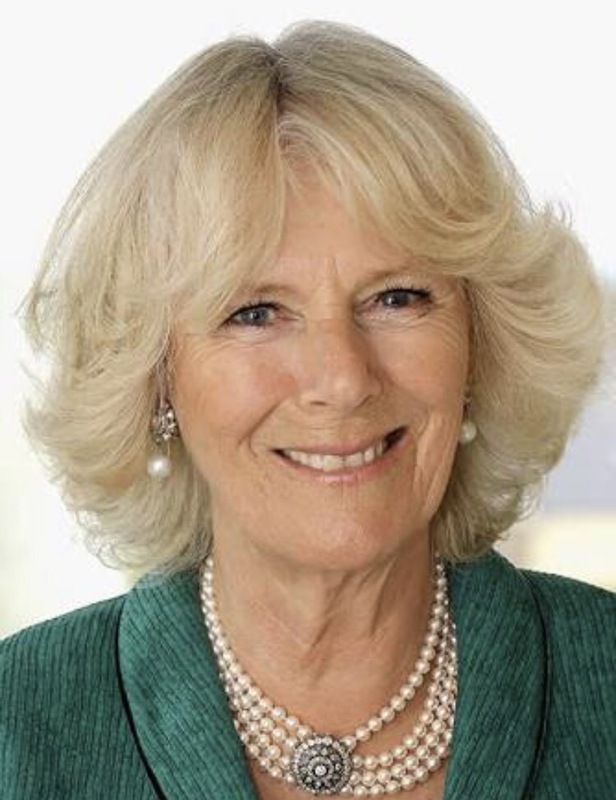 This Tuesday, Camilla welcomed a party of schoolchildren to Clarence House. Partly to launch the project, now the seventy books have been selected; and partly as an early birthday party. The children were brought to Clarence House in an iconic red bus driven by the comedian, Britain’s Got Talent judge, and children’s author David Walliams. David was probably quite please his own talent had been recognised – two of his books, Gangsta Granny and The Boy in the Dress were included in the seventy! 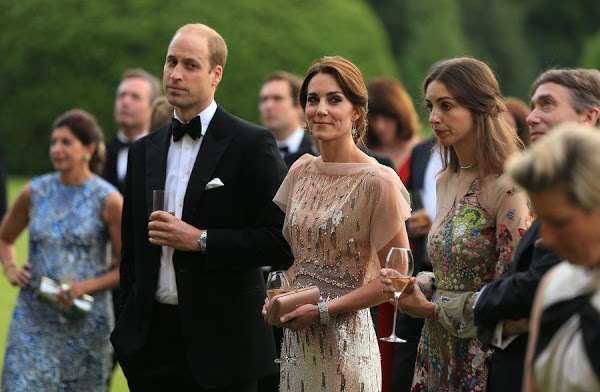 A set of the books was also presented to the Duchess, who assured those gathered that the bookcase would be placed in a central place so that all five of her grandchildren could borrow them without fighting over them. There is a wide selection of books on the list, which includes non-fiction books on coding and the solar-system together with fiction books that have been classics for children throughout the generations. These include classics by Road Dahl and Michael Bond who sadly died earlier this month, and more modern books like the first of the Harry Potter novels by JK Rowling, the books by David Walliams and the Diary of a Wimpy Kid by Jeff Kinney. 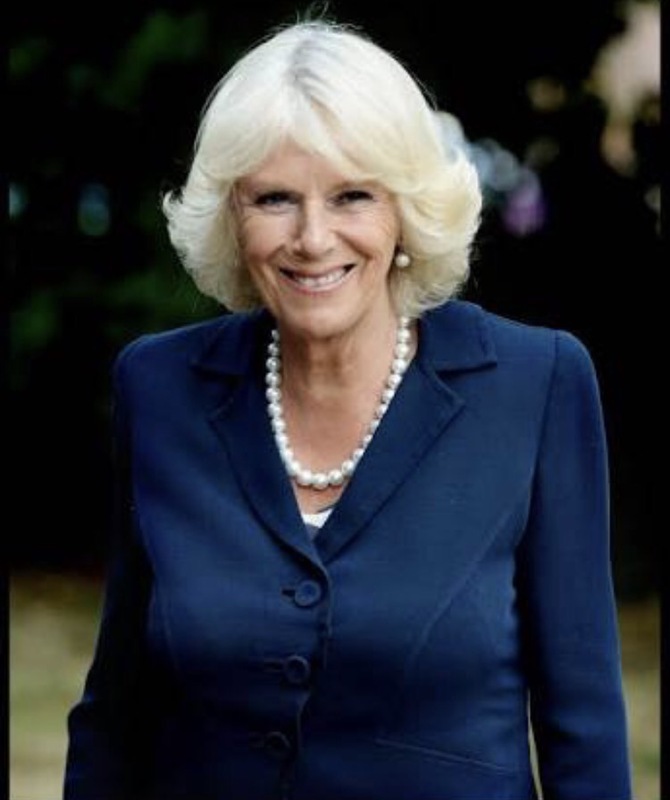 The Duchess loves reading and sharing children’s books, and is the patron of several organisations which promote and support literacy, including the National Literacy Trust, Beanstalk, BookTrust, First Story, Roald Dahl and the Wicked Young Writer Awards. 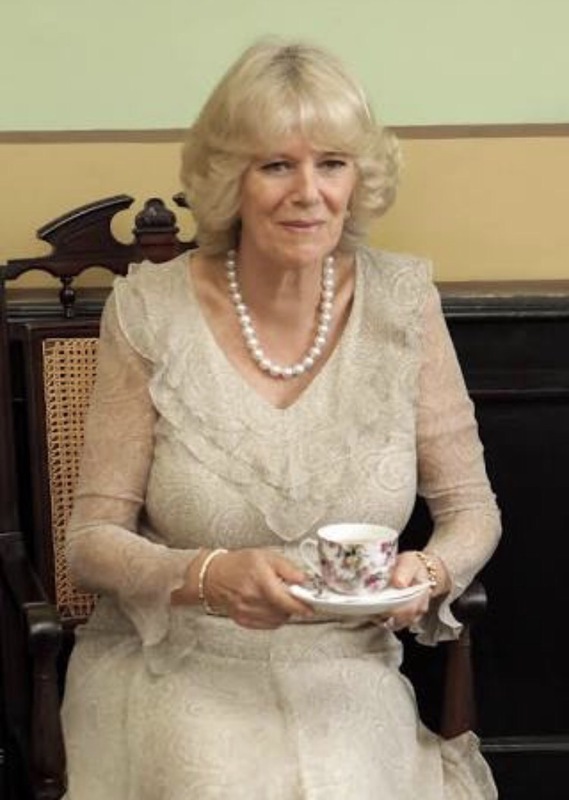 She is also the Royal Patron of the National Literacy Trust who are behind this project. Note: This is all copied from Royal Central, it is not my own words, but I loved it so much I had to share and particularly loved the reading/writing/literacy side of things.